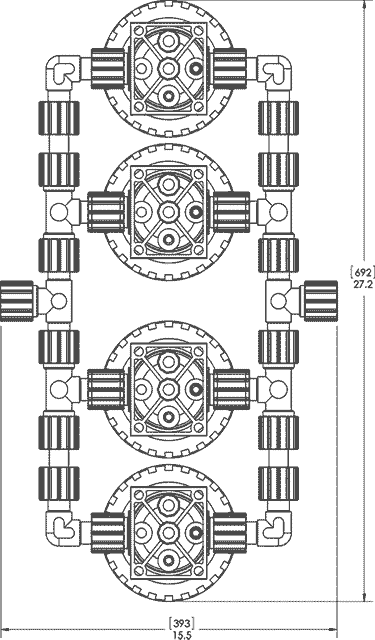 Two-chamber and four-chamber filter housings are available for parallel or series (in-line) operation. Their compact, non-metallic PTFE and PFA designs offer superior containment and high-flow performance. They fit many filter types, and enable filters to be changed without disconnecting liquid lines. 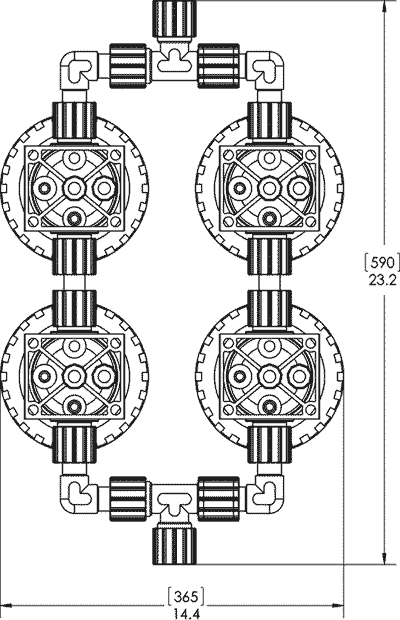 They may be installed with standard fluid connections without use of NPT threads. 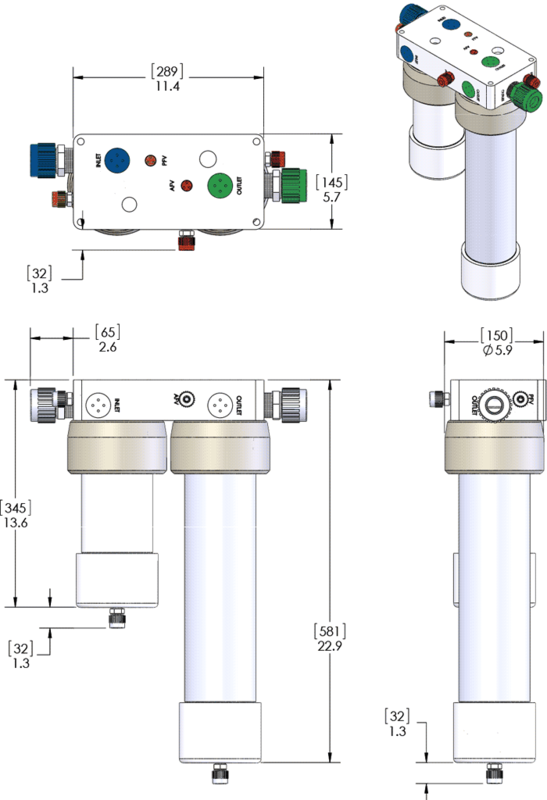 White Knight also offers FHU Series filter housings for fluid temperatures up to 210°C (410°F). Various liquid connection options, including Flaretek, Weldable, Pillar 300 Super, or FNPT fittings in 1/4-in to 1-1/4-in sizes. 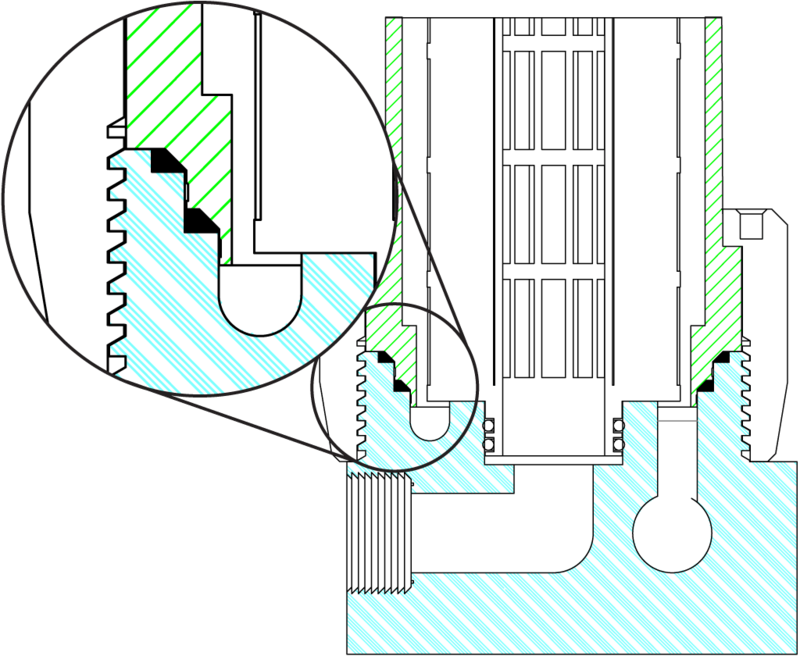 Dual-static crush seals prevent leaks. They provide adjustable sealing pressure beyond the initial load of traditional housing seals. 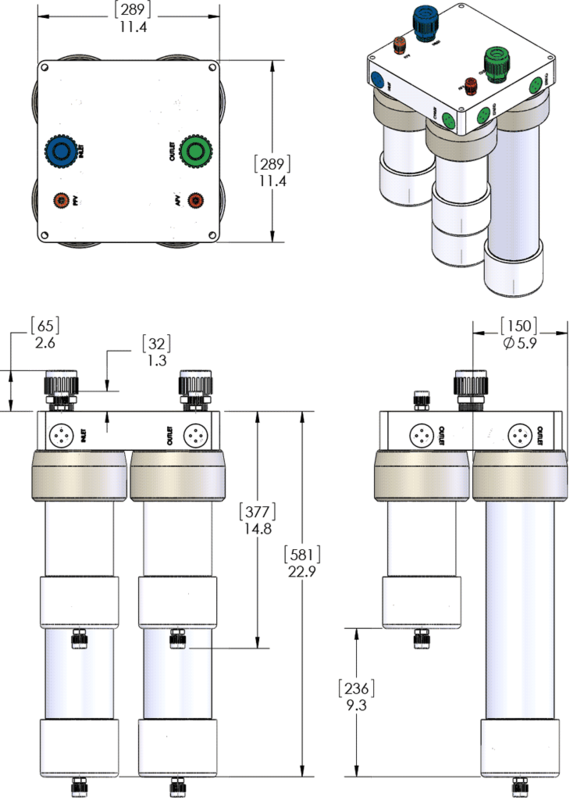 Select model (above) for dimensions and comparisons to traditional filter housings. Fluid goes through all chambers simultaneously. Fluid flows through first chamber, then through the second. Fluid flows through all four chambers simultaneously. Fluid flows through two chambers, then through two more chambers. Fluid goes through all chambers simultaneously greatly reducing pressure drop. Fluid goes through all four chambers simultaneously greatly reducing pressure drop. Fluid goes through first chamber and then through an additional chamber, which increases filtration and reduces pressure drop. Fluid goes through first two chambers and then through an additional two chambers, which increases filtration and reduces pressure drop. FHA02 get 2 bowl drain/vent fittings. FHA04 get 4 bowl drain/vent fittings. FHA02 and FHA04 get 1 manifold drain/vent fitting. Fittings are not attached when shipped. 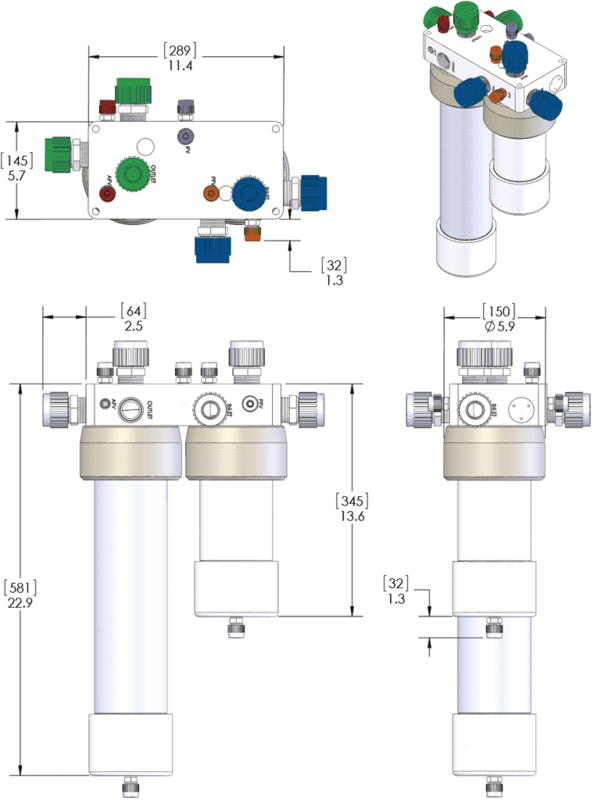 White Knight’s unique manifold filter head and ports flow to each filter simultaneously to provide greater surface area while eliminating the fixturing and welding associated with typical filter housings, and this results in typical footprint savings of 50%. 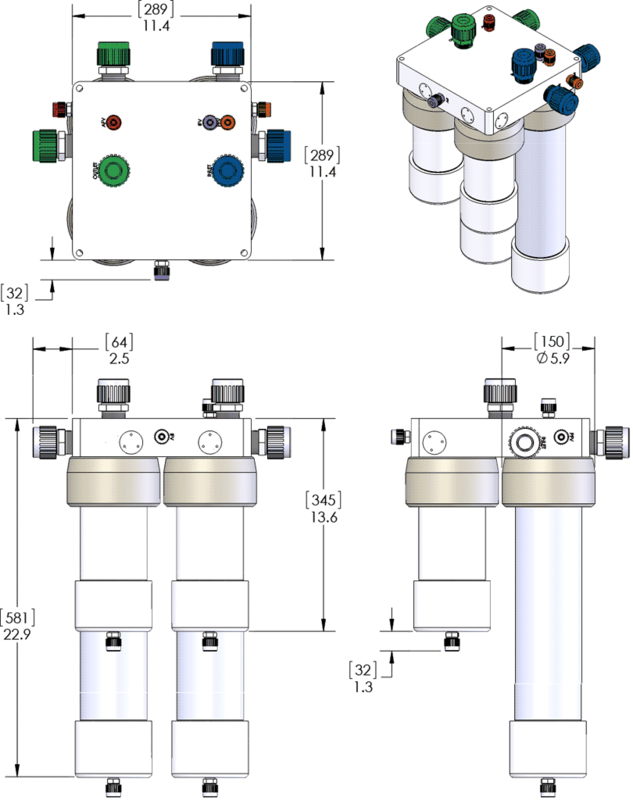 White Knight offers parallel two- and four-bowl filter housings, each with port options on the front, back, sides, and bottom/top of the filter housing. All housings include inlet and outlet fittings, vent and drains. Our PTFE and PFA filter housing fit standard filter cartridges and sizes offered by your favorite supplier. 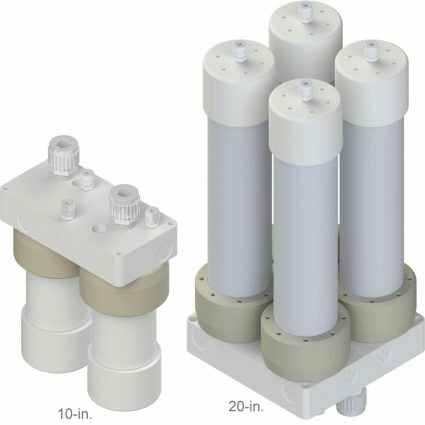 White Knight filter housings completely remove numerous leak paths by eliminating the necessity to plumb and weld multiple filter housings together. The redesigned O-ring sealing system between the housing head and bowl utilizes two O-rings and an angled sealing load system to maintain pressure and prevent leaks. This means no more costly filter housing leaks in your wet benches and chemical delivery systems. 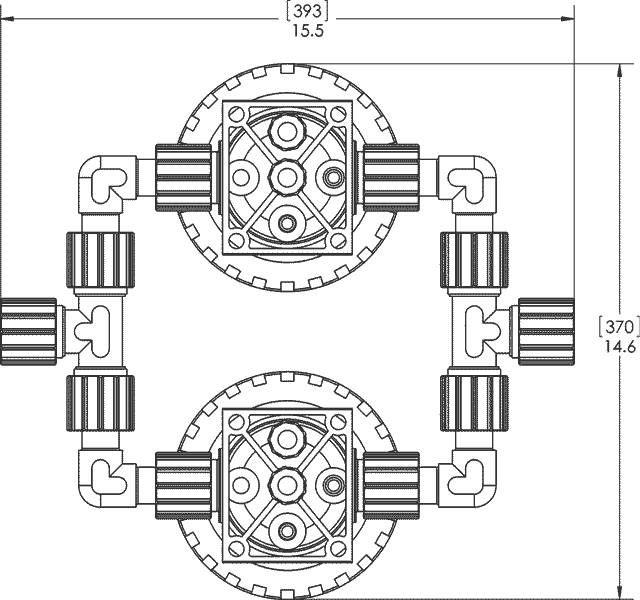 Manifolding filter housings together is costly and time-consuming. White Knight parallel filter housings come in a single, compact unit to save valuable space and setup time. Eliminating leaks also improves reliability and prevents costly downtime and expensive cleanup.